Almost every homeowner suffered boiler breakdown at some stage perhaps just as you’re about to go and put your heating on or take shower. 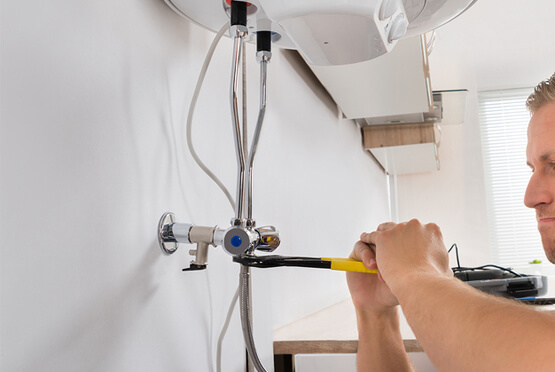 Whether you’re battling with a serious boiler breakdown or you have just relocated to a new home and you aren’t sure of the safety and efficiency of the boiler available, you will need an expert engineer to install one for you. The moment you realize that you need our help in installing a new boiler for your home, simply get in touch with Eco Efficient. It’s among the commercial and domestic heating companies in the United Kingdom. For many decades, the company has helped countless homeowners to install boiler in their homes successfully. The feedback we get and the word spread by our previous clients is what has earned us the fame and made us popular in the entire United Kingdom. When hiring a boiler installation company, it is important to find out if the company has the necessary resources required for the boiler installation process. At Eco Efficient, we have acquired the latest technology related to boiler installation processes. This includes tool and equipment necessary for estimating the right boiler installation location and also determining if their boiler has been installed successfully. Besides, we have all the skill sets and the experience required for successful boiler installation. We boast of a team of friendly, professional, in the highly experienced customer support. Whenever you call us whether to inquire about our services or to book for services, our client support team will respond to your questions promptly and a precisely. They will give you all the details you need to make an informed purchase decision. Eco Efficient also has highly trained engineers in both domestic and commercial heating. These engineers have in-depth understanding of a variety of boiler models and types. They also train regularly to insure that they have a better understanding of the changing environment of boiler and heating systems. This is an indication that we don't do guesswork or outsource our clients' tasks to other companies. Our boiler installation engineers are highly reliable and provide convenient services. These individuals travel using our company vans and that means they don't have to waste time waiting for a bus or boarding a train that might not even pass near your home they also travel with the necessary tools and equipment to ensure that they can handle any task related to boiler installation. They also work within a short time to make sure that that you don’t stay in a cold home for a long time. You never attempt to install the boiler on your own. Perhaps you have read numerous guides on how to install a boiler. However, keep in mind that you might make costly mistakes. Therefore, contact Eco Efficient team whenever you require boiler installation.